Prices have suddenly dropped dramatically on Google's range of flagship handsets (no doubt because of the recent arrival of rivals such as the Samsung Galaxy S10 and Huawei P30 Pro) and that means both the regular sized and plus sized versions of Google's latest Pixel are more accessible than ever. Here are the best Google Pixel 3 deals and best Google Pixel 3 XL deals going today. A cracking Google Pixel 3 deal here from Mobiles.co.uk to kick off the current crazy price crash, with the 64GB handset available for just £40 up front (by using the code 10OFF). Contract-wise you bag a cheap £24 per month deal with Vodafone that comes loaded with unlimited minutes and texts, as well as 5GB of data. Complete cost over 24 months is £616. 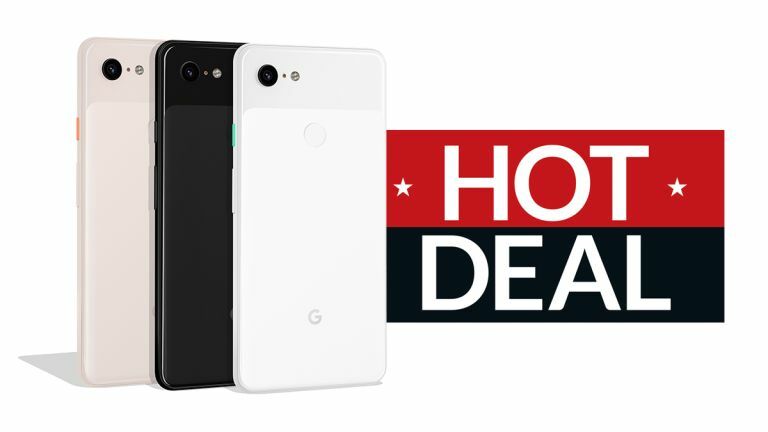 The best thing about this deal is that you can land the 64GB Google Pixel 3 upfront for only £15 (with the 10OFF code). You then get a two-year £30 per month contract with unlimited minutes and texts, as well as 5GB of data. This deal costs £735 over the contact. If you want to peruse even more fantastic phone deals, then you should without doubt check out T3's best Vodafone deals, best Three mobile deals, best Carphone Warehouse deals, best Tesco Mobile deals, best EE deals and best O2 deals guides. To discover which phones are currently highly rated by our phone experts be sure to also check out T3's best phones, best Android phones and best cheap smartphones buying guides, also.